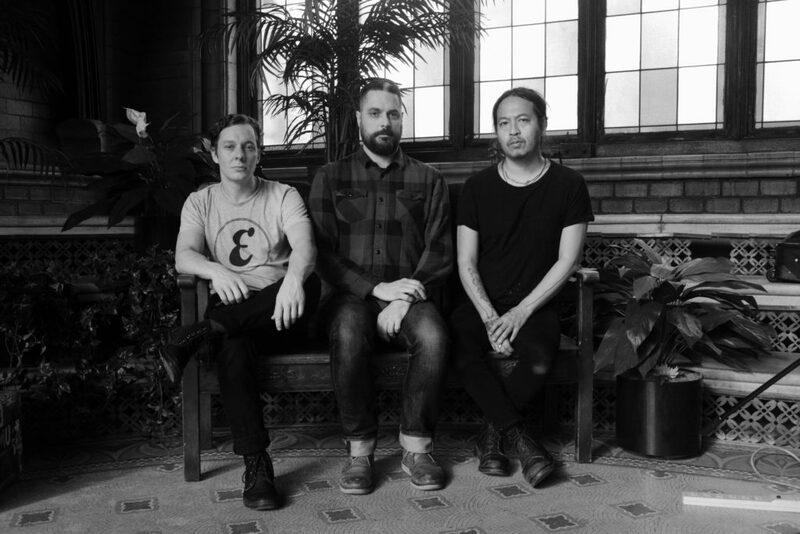 Kuzu is a hard-charging but patient trio that came together in the fall of 2017, after saxophonist Dave Rempis, a stalwart of the Chicago improvised music scene, worked with both Tashi Dorji (guitar) and Tyler Damon (drums) individually as part of a lengthy solo tour of the U.S. Dorji and Damon’s work as a guitar/percussion duo has become well-known: a highly refined and specific language developed through relentless touring and recording, with a sound that straddles improvised music, rock, and any number of as-yet-undefined territories. These two provide an incredibly fresh take on the possibilities inherent to spontaneous composition. Superimposing Rempis into this mix was a logical next step after the relationships they’d forged individually. Musically, these three create a highly focused pallette of sounds. At times, spacious gestures carve up the canvas with the austerity of a calligrapher, while at others those sparse gestures build into an unstoppable tsunami of energy. Those waves are never impulsive or impetuous though, they ebb and flow logically and patiently out of simple and clearly defined sources. This trio pursues every gesture with tenacity, passing them back and forth until they’ve explored every facet of an idea.